I'm thinking of making a multi drill for wood drilling, that uses anywhere from 6 to 9 9V or 12V DC motors. These motors would be wired in parallel, with one battery source. I'd mount a drill chuck on each of the motors shafts for a drill bit. Now, I need a little bit of help from you. Do any of you have an experience in doing such a project? My main concerns are drilling torque so that I could drill holes effortlessly in about 5 centimeter thick wood frames. Also, Another concern is battery life and how many volt batteries should I get? With same voltage as the motors? Are DC motors prone to overheating by working close to their full potential? 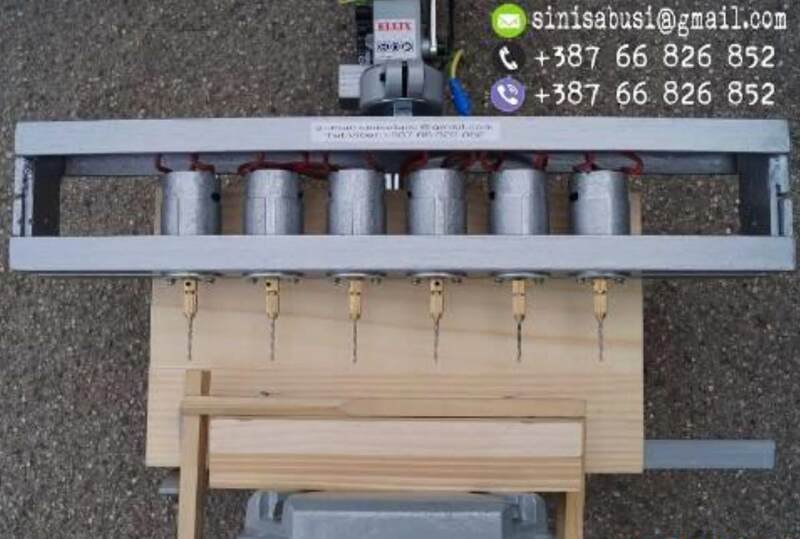 My goal is to have reliable and long-lasting contraption for drilling. Thank you very much, I wish you all a good day! You'll spend far more time and money trying to build one vs buying one. And end up with a far crappier device. A 12v drill, and 5cm of wood, gets you about 1, maybe 2 holes before the battery is run down. And if I'm reading this correctly...multiple bits, driven by individual motors, off a single battery? I'd be surprised if you made it through once. In addition to the 800 other considerations with this. Maybe a drawing of what you're trying to make? I was thinking anywhere from 6-8 drills, spaced about 5 centimeters apart. I would like to be able to use smaller aswell as bigger drill bits, like 10 mm. Maybe batteries are more of a hassle than I thought. After more thinking about this project, the best option would be 220V power supply rather than battery, since this machine would only be needed in garage. In this case, a transformator should be wired before the circuit (motors). Would I need anything else, like voltage regulator? My main goal with this project is being as straightforward and simple as possible, with enough DC motor torque to drill thicker pieces of wood and without motors overheating. I'm still trying to visualize what you're trying to make with the drill. A drill press and a template would work far, far better. Yes, evenly spaced drill bits (motors). 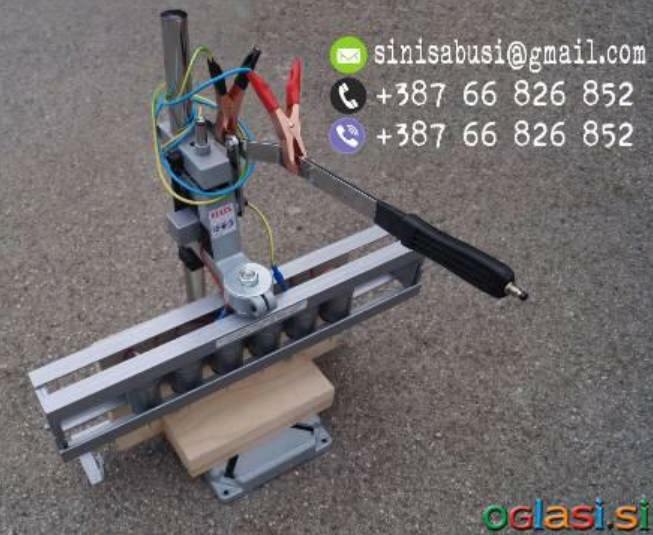 This is for drilling multiple holes at the same time, evenly spaced.It is used for making holes in hive frames. Don't know exactly why, but there is a demand in my area, so I thought I should make it. That will absolutely require wall power and not battery. Create a stiff frame to mount them at the proper distance. Wire the ON switches together. But I would like to save on money by buying DC motors separately and wire them together. Which kind motors do you sugggest for this project? What torque, voltage etc. I don't know where you are, but in the US you can buy actual drills for under $20 each. Highly doubtful you can buy bits and pieces for less than that. I live in europe, haven't seen drills that cheap. 12v motors I can buy for about 1 euro each, even cheaper if you order bulk from Alibaba or Ebay. Drill chucks are even cheaper, but I'm looking at something sturdier, i've found a good one for 1.8euro per piece. All the mechanical parts I can get for free, laser cut, even stainless steel. This is why I'm asking for your advice on this smaller DC motors, what specification should I be looking for? Smaller motors will not have the torque to go through 5cm of wood. Find an old used drill. Free or cheap. Dismantle, and see exactly what the motor specs are. I've got one at home, it is 24V cordless battery drill and it's very powerful, I don't need that much power to be honest, since only 4mm and 5mm drill bits will be used. I think 24V one would be good, since it wouldn't run at full power. But I'm curious if something cheaper can get the job done also. This one is used in most battery powered drills, usually on 24V. I'll be using 6 of these motors, so if they are connected to 24V one motor draws 0.16A, then 5x0.16=0.8A with a deviation of a few Amperes. Now this supply has output current 2.08A, is this maximum current? What if I connect these 6 motors, where there is 0.8A, can power supply go that low with providing less than it is made for? I've got another question; if power supply has for example output voltage 9-40V, does this mean that if I buy the motors (link), where voltage is 12-36V, that power station will fry the motors with full voltage or does it regulate it?